I’m a superhero guy. I grew up on comic books and as an adult I’ve watched in delight as the characters I grew up with have taken over the movie theater. It’s like a dream come true. Spiderman was my first obsession. What happens when you give a regular kid amazing powers? The stories wrote themselves. Then came the X-men…heroes that were born with their abilities and had to learn to accept themselves as different than regular people. Later in my comic book reading I began to favor Batman and Iron Man…brilliant men with unlimited resources that turned themselves into super heroes. As the years passed and I was forced into adulthood, I realized that my dreams of being a super hero would have to come to an end. Which honestly worked out for the best because Midland doesn’t have buildings that are tall enough to swing from and I don’t look good in lycra. But what about being a super hero in my chosen profession…dentistry? First things first, I had to realize that I had no mutant powers. There was no moment in dental school where my latent “amazing hands” showed up. Adamantium luxators didn’t spring from my wrists during my oral surgery rotation…although how cool would that have been? You see, there are some dental mutants out there. Some folks are naturally good at this stuff. And we have to give them their due. One of my friends and mentors, Dr. Jason Smithson, is a dental mutant. I mean that in the nicest way possible, by the way. He’s a really great guy and fun to talk with (see the Dental Hacks podcast as well as a couple episodes of the Alan Mead Experience). He’s an excellent teacher, too. But I’ve given up on the idea that I might be able to do what he does. He is naturally amazing to start with and has worked to hone his craft. The true mutants always do. Then you’ve got the Spiderman types. My buddy Dr. Shawn Van de Vyver comes to mind. His superpowers came to him later in the game. The dude can create a website out of thin air in minutes. He thinks about three levels higher than most when it comes to marketing a dental office and teaching about technology. But if you ask him, he’ll tell you that this superpower came to him pretty late in the game. I’m fairly certain he wasn’t bitten by a radioactive spider, but the skills he shows are nothing short of superhuman. Eat your heart out, Bruce Wayne. But where does that leave the rest of us? The ones with no superpowers? We have to summon our inner Bruce Wayne or Tony Stark? We have to use our resources and choose technologies that help us create our own special battle armor. What if I told you that I could hone your diagnostic skills sharper than Wolverine’s claws? What if I told you that I could help you persuade your patients better than the Purple Man? (Sorry, that’s a deep cut. Also, he’s pretty evil. So maybe that’s a bad example). The technology I’m talking about is the dental operating microscope. I have four of them in my Batcave and I use them in all aspects of my dentistry, from hygiene to surgery to restorative dentistry and endodontics. I know what you’re thinking…”really? You have four?” Hey listen…I take this superhero business pretty seriously. When you don’t have superpowers you have to make up for it, right? I use the microscopes to help me diagnose at a high level and help me explain conditions to patients. Then I use them when I’m battling tooth decay and gum disease in my role as operator. 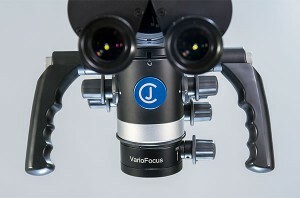 When I’m sitting behind a scope, I have superhuman vision that’s helped me in all aspects of my dentistry. So here’s to the comic book nerds! What have you done in your office to become a superhero? 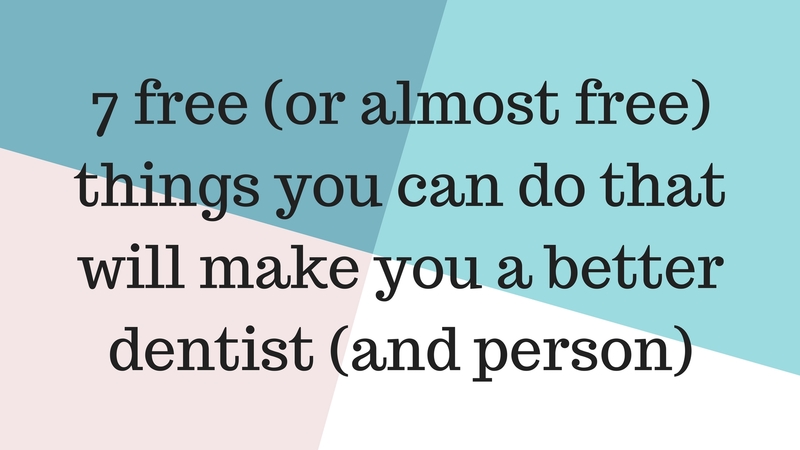 As dentists we’re constantly looking to make ourselves better. Whether it’s that new piece of equipment or a new procedure, we’re looking for constant improvement. Onward and upward! These things usually cost a bunch, though. My ability to diagnose increases significantly with a cone beam CT in the office. For a mere $100k, I will be a diagnostic super hero. I get it. Getting better has a price, right? Well…not always. There are some really inexpensive things you can do to become a significantly better dentist. read: Our ability to communicate is really important. As dentists. As parents. As humans. Much of our communication depends on language and our ability to use and understand language. With this in mind…when was the last time you took any kind of course in language arts? I know you’ve taken treatment planning courses, implant placement courses, veneer courses, business management courses and on. And on. I get it. Dentists don’t take courses in language. We’re just automatically great at it, right? Ummmm. No. This is why you should read. I personally have a hard time sitting down and reading books with my eyes. I’m more of a blog post reader or the occasional newspaper reader. Books are fantastic, though. I’m actually OK with comic books. Regular reading is kind of like a quick refresher course in using the language and it helps you use part of your brain that doesn’t necessarily get engaged with other kinds of media. learn to meditate: I know what you’re thinking. “Meditating is for hippies. I’m not sitting cross legged and saying “om” to the universe. I’ve got things to do.” I thought this, too. For me, meditation has been a really healthy habit. I’m not perfect about making time for it, but I find my days get better when I do. All human beings are emotional creatures. You may not think of yourself as emotional, but remember being angry or stressed…that’s your emotions. Much of my stress and anxiety is linked to not recognizing my feelings. It sounds silly, but just recognizing that you’re feeling a certain way is enough to help move through it. Much of the time we’re too busy to think about the actual emotions we experience. Meditation and mindfulness is ALL about this. I’ve learned a lot from my friend Dr. Dawn Kulongowski and her private Facebook group for dentists. You should check it out. listen to podcasts: Yes, this is self serving. But it isn’t wrong. 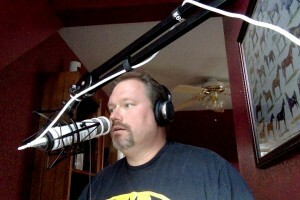 I am a podcaster. 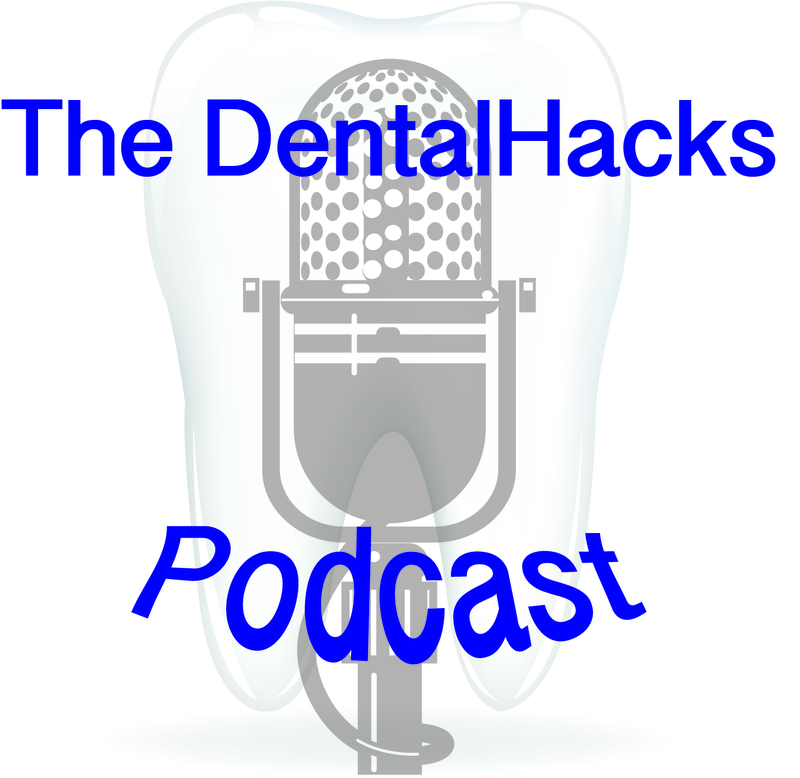 I have two dental podcasts that you should be listening to. 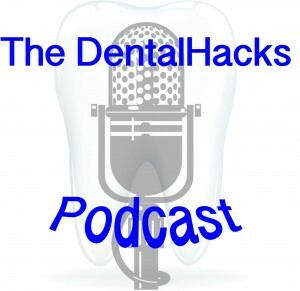 The Dental Hacks podcast is the show I’ve been doing with my friend Dr. Jason Lipscomb for 3 years. It’s fun, it’s informative and it’s free. The Alan Mead Experience is a new show that I started last month. It focuses on conversation and storytelling. I love them both. But if you don’t like those, there are 50+ podcasts about dentistry available on iTunes or most other podcast listening software. There’s something for everyone. Podcasts are great because they make time that’s often not productive (working out, driving to work, mowing the lawn) into a chance to learn and hear some different perspectives. Podcasts are awesome. write: Many people that communicate very well through speech struggle with similar communication through writing. The spoken word is more comfortable for most people because the ear is more forgiving and so much of spoken communication is nonverbal through tone, expression and even hand gestures. Writing is harder. But it’s still really important. The good news…the writing muscle gets stronger with exercise. The more you write, the easier it will get and the better you’ll be at it. So spend some time writing. Write a letter to someone you haven’t talked with in awhile. When was the last time you got a letter from someone? It’s guaranteed to make someone’s day. Start a blog. Write a novel. Again…it doesn’t matter so much what you write as much as you give those muscles a little workout. take photos: You’re thinking “that’s not free. You said the stuff was free!” True. You can spend a bunch of money on clinical photography set ups. But you don’t have to. If the Kois Center is recommending that you use a smartphone or tablet to take your intake images, that should be good enough for you! If you take photos (or even video) of your work, you will get better. End of story. There is nothing more frustrating (or educational) than taking photos of the perfect resin you just placed only to see some flash you missed or some anatomy that looks less than ideal that you just didn’t see clinically. Taking photos makes you better. Period. take time off: I’m terrible at this. Seriously. Most of the time I take off from work involves dental CE. That’s pathetic. There’s something magical about having time away from the office and NOT doing dental stuff. I’m in the middle of a week off from work that has been incredibly energizing. I’m essentially doing work around my house and single parenting my children. Knowing that there is life outside of your dental office and that the whole world doesn’t end when you’re not in the office is valuable. It makes you better when you’re there and it helps make you realize that you’re human before you’re a dentist. have lunch with local colleagues: I have a ton of dental colleagues. Many of them are from “away.” I interact with dentists across the country and across the world on a daily basis because of podcasting, blogging and social media. I’ve learned much of what I do in my office from people I’ve actually never met in person. However…there is something to having regular interaction with your local colleagues, too. I generally don’t think of local dentists as competition. It doesn’t serve me well and frankly, we compete against other things patients can spend money on (smartphones, lawn tractors) much more than other dentists. It’s really great to be able to communicate or commiserate with a real live person. Having local colleagues that you can lean on for second opinions and referrals is really important. Plus, it helps you realize that you’re doing OK, even though you aren’t posting all of your cases on Style Italiano or Tomorrow Tooth. So there you have it. You don’t have to pay an arm and a leg to improve yourself or your dentistry. And a lot of these suggestions can help you be a better human being, too. Which is a pretty good side benefit, right? If I missed any please email me or leave some suggestions in the comments section. If you found this helpful, please share it! 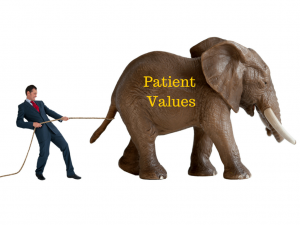 I want you to think about the worst patient problem in your practice. 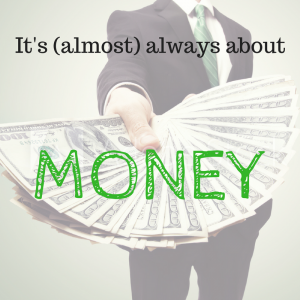 When you peel back the layers, it’s almost certainly about money. If you think I’m wrong, let’s do a thought exercise. Think of the patient problem that’s been occupying your mind the most lately. It may be lack of case acceptance (the obvious one) or patient dissatisfaction (bad Yelp review anyone?). Hold that problem in your mind. Concentrate on it. Feel it. Now…how does that problem become different if the treatment proposed to the patient was free? How might that problem resolve? 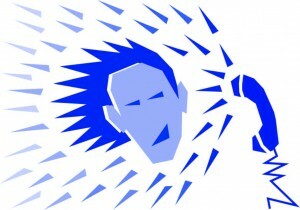 What could you do in your practice to take away that objection? I’m not offering any specific solutions here. Obviously there are a million ways to skin the financial arrangements cat. But it’s worth remembering that patients may love us, our office and our team. But no one is sitting at home hoping that they’ll be able to cut us a check using money that they’d rather spend on the new iPhone. I know what you’re thinking. What about anxiety? That’s a big patient objection, too. I agree. But I’d say we’re talking 10% or less of patient objections are primarily due to anxiety. Also, how many anxious patients are in your office letting you know that they’re really freaked out about dental care, but clearly are happy to pay you whatever? If anxiety is their biggest hang up, money can (and probably will) still be an issue. We’re not great at getting past this objection in my practice. 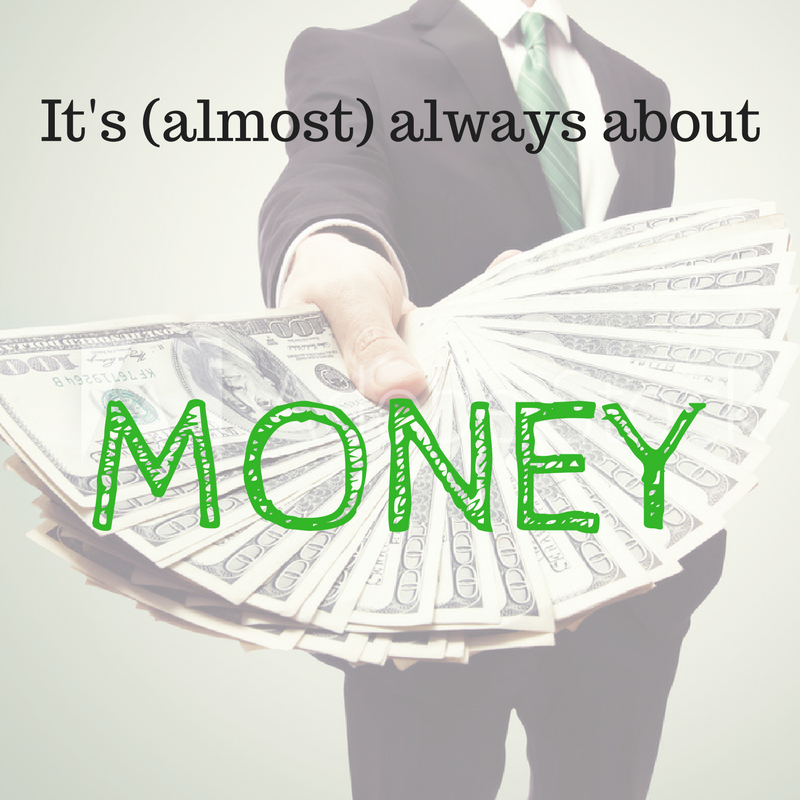 The practices who can really identify and move past money as an objection definitely do better financially and probably are more satisfying to the dentist. So next time you struggle with treatment acceptance it might be worth asking the patient, “is there anything besides the cost that would keep you from doing this treatment?” You’ll probably learn a lot. Let’s say you need a procedure. Perhaps a filling or a crown. You have a choice between two dentists to do the procedure for you. You can choose yourself at this moment or you can choose yourself 10 years ago. Or 5 years ago. Or 20 years ago. The point being you are choosing yourself at a time when you had significantly less experience than you do right this second. Who would you choose? I’d wager that you would choose yourself at this moment. Why is that? It could be that you’ve started using a new instrument or learned a new technique. It could be because the technology has come a long way since you were the other you. But most likely it’s the reps you’ve put in. I look back on some of the work that I did 15+ years ago. Some of it I’m kind of proud of, but more often I cringe a little. I see underprepared crowns. I see overprepared direct restorations. Mostly I see things that were done to the very best of my ability at that time. Which is good. But much of it I would do quite differently today. When I was a newly licensed dentist I planned to take the world by storm. I thought I knew a lot. And let’s face it, I did. I knew how to pass tests. National boards, clinical boards, microbiology exams, operative practicals. I knew how to play within the rules that were set by others that proved I was qualified to be a part of the profession. What I didn’t know a lot about was how to be a dentist. I had done a bare minimum of clinical work on patients. I sometimes complain about how little clinical training I had, but let’s be honest. How much would have been enough? If I had done 5 more crowns in a setting where I had to check in with an instructor at every step would that have made me “experienced?” Probably not. I’ve become the clinican that I am through reps. I’ve diagnosed real disease on real patients and then treated them. And make no mistake, I’ve learned how to treat patients by treating patients. It isn’t that I’m asking patients to be guinea pigs. But to some extent I ask them to believe in my abilities and experience up to that day. Your patients trust your judgement and ability even though they really can’t know much about either. A poorly done restoration can be done painlessly. I’m not trying to make newcomers to the profession feel bad. You can’t get experience without doing the reps. But understand that most of us learn best by doing. I was never any good at reading the directions and then doing exactly as the directions said and having success. Those directions were written by someone with experience but were being read by me: someone with much less or different experience. For me, dentistry is a “learn by doing” profession. The only way I learn is by being open minded enough to see that there are different ways to get the job done and being patient enough to try something new. The profession continues to evolve and as clinicians we evolve as well. I believe that most of us really do the best that we can at any given moment. But make no mistake, we get better by doing reps. This isn’t an excuse to be cavalier about treatment but a call to humility. Do your best, but be committed to being better next time. Most dentists have gotten really good at the delivery of bad news. Most of us are pretty good at explaining our findings in a dispassionate way. We’re supposed to explain what we’re seeing, recommend different treatment options, explain the pros and cons of each option and then let the patient ask questions and make a choice. The trick is that you can’t own the patient’s problem. It’s really important that you don’t care more than the patient does. Straightforward stuff, really. I mean, it’s not like we’re oncologists or something. The great majority of dental problems are not life and death. I’m here to tell you…I still struggle. I’m not as good at delivering the bad news. I sometimes struggle because I do care more about the problem than the patient does. I think that’s because I understand the problem better. Tooth decay doesn’t hurt until the tooth is in real trouble. Gum disease is painless right up until the teeth get wiggly. I see what’s going on in their mouth in HD. I use high powered loupes or even a microscope to see what’s going on and sometimes it’s hard for the patient to get as concerned about it as I do. Some days I get really discouraged about it. I’ve got to let people know what I’m seeing. Modern dentistry can do some amazing things, but getting people to choose that is the difficult part, in my opinion. Some days I get burned out. Sometimes I have patients with multiple and serious problems that have no clue. That is so hard for me. It’s times like those where I don’t even know where to start. But I’m a doctor. I owe my patients the truth. I don’t have to be mean about it, but I have to be truthful to the best of my ability. Patients need to understand that I don’t enjoy giving bad news any more than they enjoy hearing it. But we’re in this together. They always have the choice to do nothing, but my duty as a doctor is to let them know what’s going on and give them ideas on ways to treat it. We’ll get through this together. I don’t know if I ever had “regular” readers of The Blogging Dentist. But if I did, I probably made them think that I’m not writing any more. I’ve fallen down on the job. I’ve published inconsistently. I’ve been lame. What can I say? 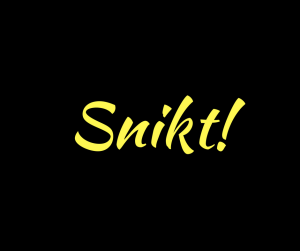 Well…I started a podcast. I used to think that writing a blog took a lot of time. And it does. Kind of. But podcasting takes even more time. So the time I might have spent writing here has been spent getting a podcast up and running. I’ve been listening to podcasts for a long time. For those who’ve never listened, a podcast is a radio show that can be downloaded from the internet. They’re usually free downloads and the best place to find them would probably be the iTunes store. I like podcasts because they’re often done by regular folks in their spare time and this gives them a really nice authenticity. The typical podcaster is someone who’s an enthusiast on a subject (think Harry Potter, triathlons or Thai food. Or at least they used to be. A lot of radio stations and professional entertainers have come to realize the power of being able to syndicate your own show for next to nothing and have begun to use the format as well. It’s actually a blast. I’m enjoying the interviews and discussions with my friends and colleagues. I’m enjoying the fact that I’m spreading ideas. In fact, that’s the same reason I like to write a blog here and at meadfamilydental.com. There are a lot of similarities between blogging and podcasting. The similarities are all about being a “content creator.” So much of what dentists post on the canned “our blog” part of their websites is written by whoever it is that manages their office’s social media. When I read those blog posts they usually don’t seem authentic. I’d much rather read something a little less polished that I can tell was written by the dentist who is connected to that website. That’s the spirit we’ve tried to bring to the podcast. The format is half interview and half group discussion. We’re interviewing people that my co-host (Jason Lipscomb) and I find interesting on topics that we find interesting. We call the group discussion “the Brain Trust.” It’s informal. Kind of like the discussion you’d have with colleagues at dinner when you’re taking some CE. There are a lot of laughs and we don’t take ourselves too seriously. Which some may consider a fault. I think it’s our biggest strength. So, go check out our podcast. I think you’ll enjoy it. And I’ll try to start posting more here, too. I recently received an email from a student at one of our local community colleges. The student was taking a journalism course and was writing a story about the “controversy over fluoride. “Hi my name is **** and I’m a Journalism and Emerging Media student at ***** I’m contacting you in regards to an article I’m doing for my newspaper class on the controversy over fluoride. I was just hoping to ask you a couple questions on the subject of fluoride and I’ll leave them below in this email. The basis of my article is to have a fair and balanced debate between those in the Dental community who support the use of fluoride in our hygiene products/water supplies and arguments made by the anti-fluoridation movement that fluoride causes harm to the body (one website I’ve looked at before is www.fluoridealert.org). I haven’t had much luck contacting anyone else who would speak with me about this. 1. Have you heard of the arguments made by anti-fluoridation movement? If so, do you feel they have any merit? If Yes, Why? If No, Why not? 2. Do you have any personal hygiene suggestions for those who would rather not use fluoride based products? 3. As a Dentist do you have patient refusal of fluoride often? If you do, does it change how you approach cleaning their teeth? Or change what products to recommend to them? 4. What advice would you give parents who are worried about their child’s fluoride exposure (regarding hygiene product usage, etc)? Right away my skeptical alert system went off. Lots of peer reviewed research has determined that the use of optimal fluoride concentrations in drinking water is safe and incredibly effective. The CDC called public water fluoridation one of the top 10 public health achievements of the 20th century. By any reasonable standard, there is no scientific controversy about fluoride. I felt it was important that I let this journalism student know what I felt about science journalism and “teaching the controversy” when there isn’t really a controversy. I’m curious about where your research has taken you. I’m wondering what you personally think about fluoride, both systemic and topical. It won’t change how I answer, but it might help me frame where I’m coming from. A story like this is interesting. Health and science reporting is kind of special. I understand that you want to have a fair and balanced debate. But when you frame it like that, it assumes that both sides of the debate have equal merit. That might work for political stories, or stories about art. It’s not the same for science. Science journalism is special. Often, there aren’t two sides to a story. There’s the side which the science supports and the side of people who don’t like what that science says. These are not viewpoints with equivalent standing. The evidence weight heavily on one side. Unfortunately, people unfamiliar with the scientific process don’t necessarily understand this. A great example is the “theory of evolution.” The scientific use of “theory” is unfortunate. To lay people, the term “theory” implies that it’s just someone’s best guess of how something happened. That’s not what a scientific theory is. An excellent definition of “scientific theory” is from Wikipedia: ‘A scientific theory is a well-substantiated explanation of some aspect of the natural world that is acquired through the scientific method, and repeatedly confirmed through observationand experimentation.’ In other words, when scientists use the word theory they mean something that is essentially an explanation of something in the natural world that has been tested and confirmed over and over again. Not just some guy’s idea of how something works. So I guess what I’m saying is that the fluoride “controversy” isn’t really a controversy. There isn’t credible scientific research that suggests systemic (fluoride in the water) fluoride is dangerous and/or toxic. There is lots of evidence suggesting that systemic fluoride is helpful in preventing tooth decay as well as very cost effective. There’s also lots of evidence suggesting that topical fluoride can help with prevention in tooth decay as well as reversing early “precavitated” lesions. The problem for a journalist is that doesn’t make for much of a story. The recognized science that includes well designed research says fluoride, when used as directed is safe and effective. If those who believe otherwise have properly designed research published in well peer reviewed journals, the scientific consensus will start to change. Up to now, that’s not been the case. I went ahead and answered her original questions. I answered them in the the way that the current science would indicate. I had done my part by standing on my soapbox and yelling about “teaching the controversy” when there really wasn’t a controversy. This was a college student who didn’t realize they had stumbled upon a dyed-in-the-wool skeptic with a tendency toward rambling emails. Then I received a reply about where this student was coming from. So there you have it. As much as I want to believe that this is just a mistake of a somewhat naive college student, I think it’s a bit more than that. In many cases, journalism is about generating a story. The “facts” in this case aren’t hard to find with a little looking. I actually have to give credit to our journalism student for being honest about their biases. Most don’t believe that they have biases. Having biases isn’t a problem. It’s actually part of being human. Recognizing them and overcoming them is really difficult, though. I admit that I struggle with this often. Our aspiring journalist admits that they feel that fluoride isn’t for them. Further, they worry about fluorosis and would prefer a more “all natural” way of caring for their mouth. Our journalism student commits an “appeal to nature” fallacy here, which is so common that it’s probably not worth dissection. Let’s just say that fluoride is natural, as it is naturally found in most water sources and leave it at that. A bigger problem is our journalist’s concern about fluorosis. Dental fluorosis is a developmental problem. Enamel defects can form in developing teeth if a person is exposed to a high level of fluoride during the time that their teeth are developing. However, it doesn’t effect teeth that have already developed (e.g.–in an adult). This is a fact that can be verified on Wikipedia or any other medical website. Yet our journalist who wants to tell both sides of the story didn’t know that and was, in fact, concerned about it for themselves. A science journalist with clear biases that hasn’t done the basic research can do a lot of damage by simply not knowing the truth about their subject. On the other hand, the “controversy” is much easier to find. Anti-fluoridation groups make up as much of the first page of a Google search for”water fluoridation” as straight up information sources. The movement against water fluoridation is getting its story out very well, while the boring and decades old success story of public water fluoridation doesn’t have that many blogs and websites dedicated to its advancement. The internet has allowed anyone with an idea and a way to get online the chance to disseminate whatever information they like, whether it is accurate or not. “Yes, I have read about some of the arguments made by the anti-fluoride movement. I think it is legitimate to be concerned about ingesting too much fluoride. But I find most of their arguments to be based in emotion and lacking scientific credibility. Fluoride is present in all water sources. ‘Fluoridation’ is actually more ‘fluoride optimization.’ Some communities with public water supplies have optimized the levels of fluoride in the water supply for dental health. In some cases that means removing fluoride and in some cases that means adding it. Much of the concern of those opposed to fluoride in the water is based upon the idea that it is poisonous and damaging. Fluoride is toxic in chronic high doses. It can cause problems in brain development, problems in bone and tooth development, kidney injury and in certain cases thyroid problems. 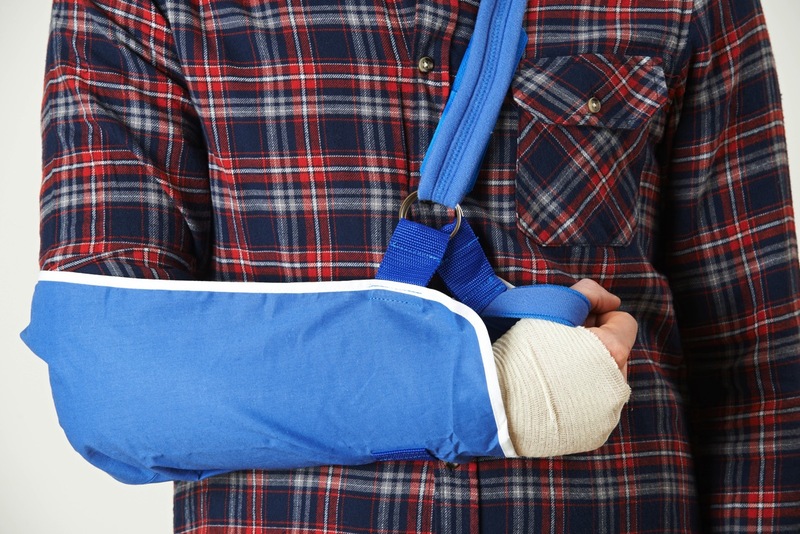 These injuries happen at high doses over a long period of time. Optimal fluoride (1ppm) is well below a dose that could cause these kinds of problems. Much of what the anti-fluoride groups claim is an extrapolation: since fluoride can cause these problems, it is toxic and poisonous at any level. Toxic effects from anything are dose dependent, and thus optimal fluoridation is safe. You cannot give “both sides” of a story like this without at least a cursory review of the scientific literature. The water fluoridation issue reminds me a lot of the vaccination issue. For some, the public health gains we’ve achieved with vaccinations are only now being appreciated by people for the fact that many vaccine preventable illnesses are coming back with a vengeance. I only hope that’s not how it goes with public water fluoridation.